Rated 5 out of 5 by J9CT from What A Gorgeous Game!!!!! I've played quite a few games recently where I just stopped playing a few minutes in and I thought this was going to be one of them. I'm happy to report that this was not the case. Storyline This is obviously a spin on the fairy-tale/rhyme of the crooked man. Its obsession to the max with a very sad, although abrupt ending. Don't like to give away story and plots etc. Mother Goose is mentioned quite a few times in this game and its surprising that she's a bad guy which is a nice change. Gameplay You can choose your mode and you can switch between modes by going to main menu. Sometimes there can be quite a bit of back and forth but I must admit I never got bored. I loved finding the cursed objects (there was 1 in almost every scene) and at the end of the game I was missing just one. 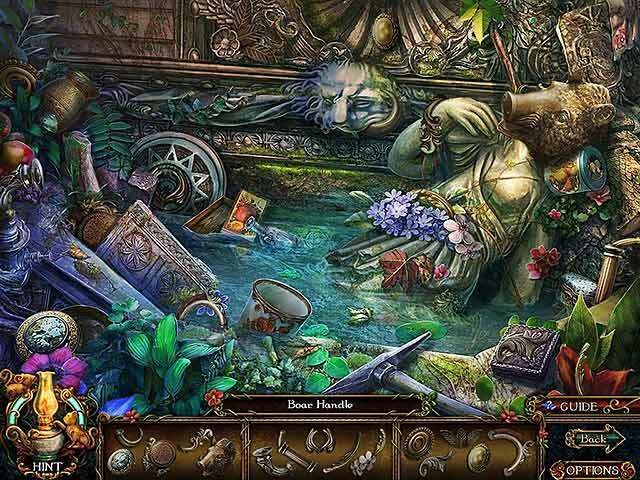 The hidden object scenes were beautiful pieces of jewelry and flowers which in the end made an object that you needed. Puzzles I enjoyed all the puzzles and I found them to be really fun. I played on hard so there was no option for me to skip the puzzles when they were too hard so I would use the guide for help. However, I did find that some of the steps to solving the puzzles was left out of the guide so I had to really find a way of solving the puzzle myself. Bonus Game The bonus game has a different story all together, pretty gross plot but quite different for a change. I think the story lost its way here and there and at one point I wouldn't even remember the plot. 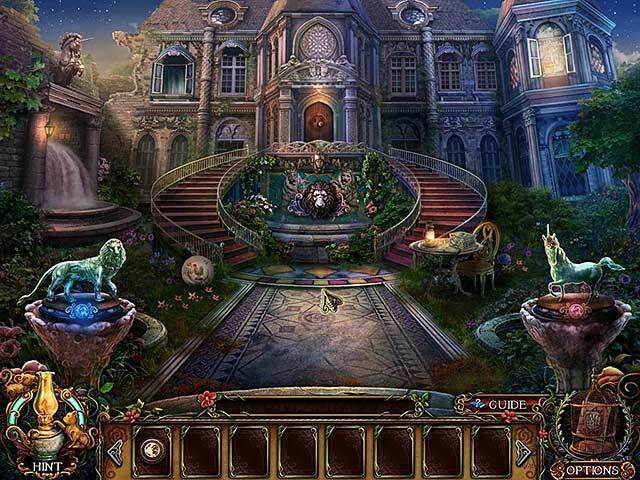 The hidden object scenes and beautiful puzzles saves it though. Just be warned there's a lot of puzzles in the bonus game and if you're not a fan or you find it too difficult, rather play on casual. Game was quite short with an abrupt ending. Graphics Beautiful fairy-tale graphics, I think the developers really outdid themselves. Going by review it seems as if this is a pretty old game but its gorgeous and the graphics are not outdated at all. I can definitely see myself playing this game again in the future. Rated 5 out of 5 by mirella7 from Blue Tea's Crooked Man is one of my favourites Games like this is the reason I love gaming. The twisted, dark fairy tale world and the exceptionally good stroyline makes this piece of art very enjoyable. The stroy grips you and glues you in front of your computer. I really like the image and background story of the Crooked Man, a handsome noble who is desperately searching for the reincarnation of his lost fiancé, and turnes to dark magic to achieve his goal. The idea of the twisted and sad love story, the cursery items, the hints about other fairy tale characters, the beautiful scenes, even the bonus game, the Humpty Dumpty adaptation is so full of potential. I also really liked the puzzles, only skipped a few. 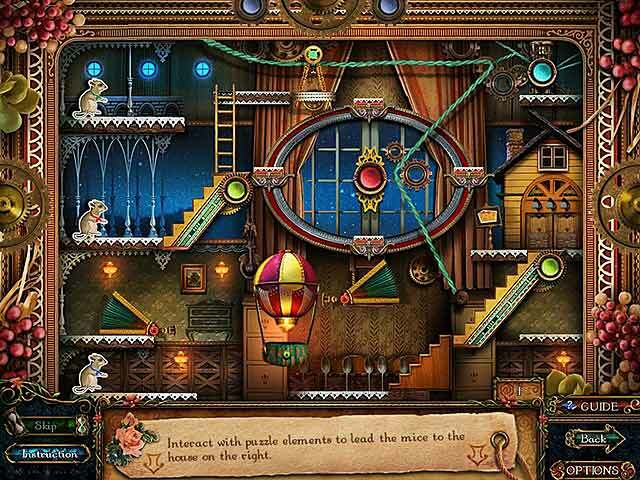 This is not just the best game of Blue Tea Games, it is also in my top list of Hidden Object/Fragmented Object Games. 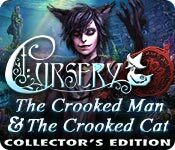 I highly recommend The Crooked Man and the Crooked Cat, because this is the kind of game which came out 6 years ago and still enjoyable in 2019. Rated 5 out of 5 by melvinaru from Fab Love love this game I don't usual write reviews but this game is out standing. I want more when will there be a new game ?????? Rated 5 out of 5 by anabigfish from Dark And Magnificent! I honestly thought that because this was from Blue Tea Games it would just be a fun, fairytale game. Boy, was I wrong! This game is terrifingly scary and twisted and filled with macabre that make your skin crawl. The storyline is off the charts, beyond amazing, the characters are unique, even the bonus games which is called Humpty Dumpty I thought was going to be a funny chapter, was so scary and had such a twist on the original fable! The graphics and the music were enchanting and eerily beautiful and the only thing I didn't like was the ending but only because it felt cut off like it wasn't really an ending. If Blue Tea Games ever decides to do another installment of this series, I would be first in line! Rated 5 out of 5 by Majestyx12 from The same feel and sounds of Dark Parable Even the sound of the cursed objects aka morphs are the same, like a bat fluttering. This was put out in 2013 in between The final Cinderella and Jack the sky kingdom I think. The mouse puzzle where you move the mice around by manipulating the scene was my favorite puzzle. The scenes are beautiful and not dark. The map is unique with the paper cut out symbols and the cat moving. The bonus game is not cute but a dark tale. Rated 5 out of 5 by upsysydaisy from SICKOpath Psychopath This creepy guy takes obsession to a whole new pathetic level. I loved the game. It was very interactive, everything was top notch. Great graphics and color, and interesting things to feast my eyes on along the way. I do wish the cat had more involvement in the story though. The game was excellent and certainly worthy of far more than 5 stars! With that being said, I am wondering how it can lead to such a weak, abrupt, "sped-up" poor ending. These devs and story writers have proven their talents to be superb! So why can't they give us an ending with more substance and satisfaction? I absolutely love these "fractured" fairy tales and hope more of them are in the future of Big Fish Games. Rated 5 out of 5 by AforAllie from A fun game This is a charming game. The artwork is unique, the music is nice, and the story is good. It is a little spooky in parts, but in a good way.The bonus game is OK, but not necessary to enjoy the game. Rated 5 out of 5 by SparkleHooves from Oh Mother Goose, you twisted lady This IS a darker and more adult story line than one would assume from a Mother Goose Nursery Rhyme. It's a very adult story full of revenge, hatred and despair. IT'S AWESOME. Of all the games I have purchased, this is the one that I have played repeatedly. It plays like a Dark Parable but uses a Mother Goose story line instead. The game is visually beautiful, intricate, dark and emotional. Not "boo-hoo" emotional but more of the "gah, no wonder he went down a dark path of crazy" kind of emotional. Gameplay is long. Bonus game is....creepy and unsettling, but again, intriguing. The only thing that upsets me is that there hasn't been more Cursery games made! Rated 5 out of 5 by GinSchaefer from Lots of fun games, a great story line, and beautiful artwork. I like HOG, but tire of the hidden object scenes that take over the story...here you keep moving with easy access to past scenes. Only fault is once a puzzle piece is added all the beautiful artwork ...disappears. I would like to have enjoyed it a bit more. Good story line...a broken heartened lover willing to pay anything for his lost love. Oh don't we women love it.